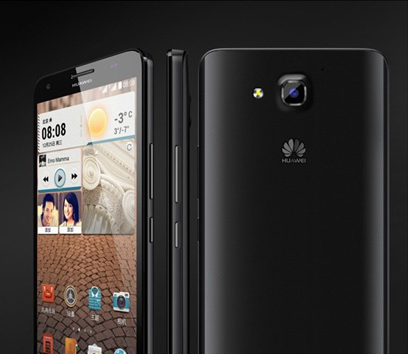 Huawei is going to introduce the new and latest Android-powered smart phone is the Honor line. The first handset, Honor 3X has the specifications of 5.5” and the other smart phone, Honor 3C has the 5” and both of them can run the dual SIM connections. The handset, Honor 3X has the specifications of 5.5” IPS screen with 720p resolution and it also claims 1080p screen which use the 20% more battery juice and it is also added with the chipset of MediaTek MT6592, 1.7 GHz and the octa core of Cortex-A7 and RAM of 2 GB. This handset has two cameras, the back camera has the 13 MP camera and it also has the 5 MP camera with 3,000 mAh battery. The handset, Honor 3X has added with the dual-SIM, which is perfect for the China market. The one slot is used for the good ol’ mini SIM and the other is used for the microSIM and they are 3G enabled and support the regular 3G in China Unicom and world over 3G. The handset, Honor 3X will be made available at the CNY 1,700 ($280) off the contract.